Hövelhof – The new IP66 cable entry system KDSClick from CONTA-CLIP allows for quickly feeding open-ended cables or pre-assembled cables into enclosures or through cabinet walls. 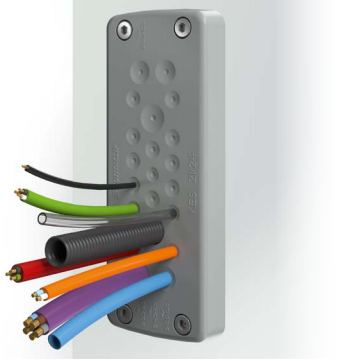 With sealing elements that fit absolutely tightly, the system ensures DIN EN 62444 compliant strain relief for the cables. KDSClick is based on just three basic components ­– frames, inlays and seals – and operates on a simple modular design principle: unlike conventional systems that require the frame to be opened and then screwed closed again to insert the sealing sleeves, CONTA-CLIP has equipped KDSClick with a robust, one-piece plastic frame that is available in four sizes for 4, 6, 8 or 10seals. 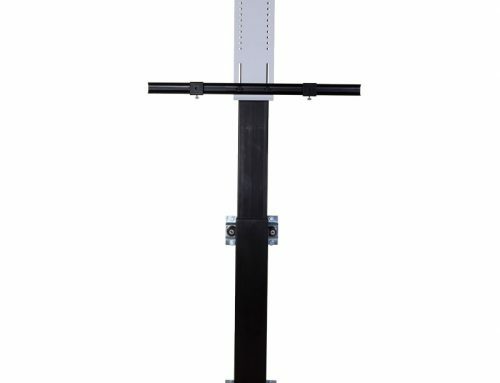 The one-piece plastic frame allows a fast and simple installation. The foamed gasket ensures IP66 ingress protection even with painted or rough surfaces. Creating frame openings in the desired size is easy using four simple partition, T-shaped, cross and double cross inlays that are inserted with a distinctive click sound. 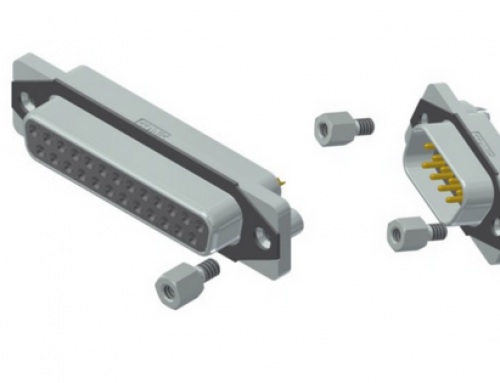 This way, the cable entry system is easily assembled for different cables, wires, tubes and pneumatic or hydraulic lines and also reduces storage costs due to fewer parts. 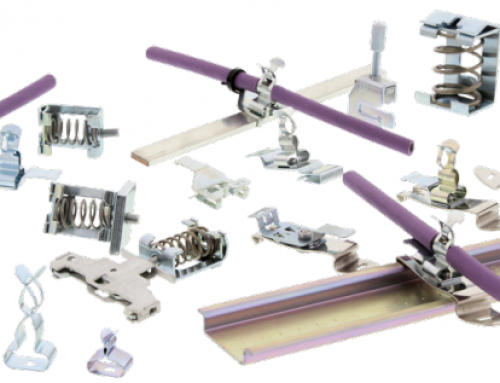 In order to accommodate different numbers of wires and various wire diameters, CONTA-CLIP provides more than 80 different seals. They are conically tapered to be easily pushed into the previously inserted inlays from the inside. 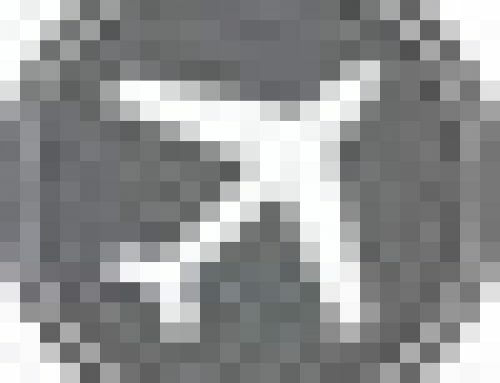 At the same time, the seals can be easily removed again, e.g. when new or additional wiring is necessary. 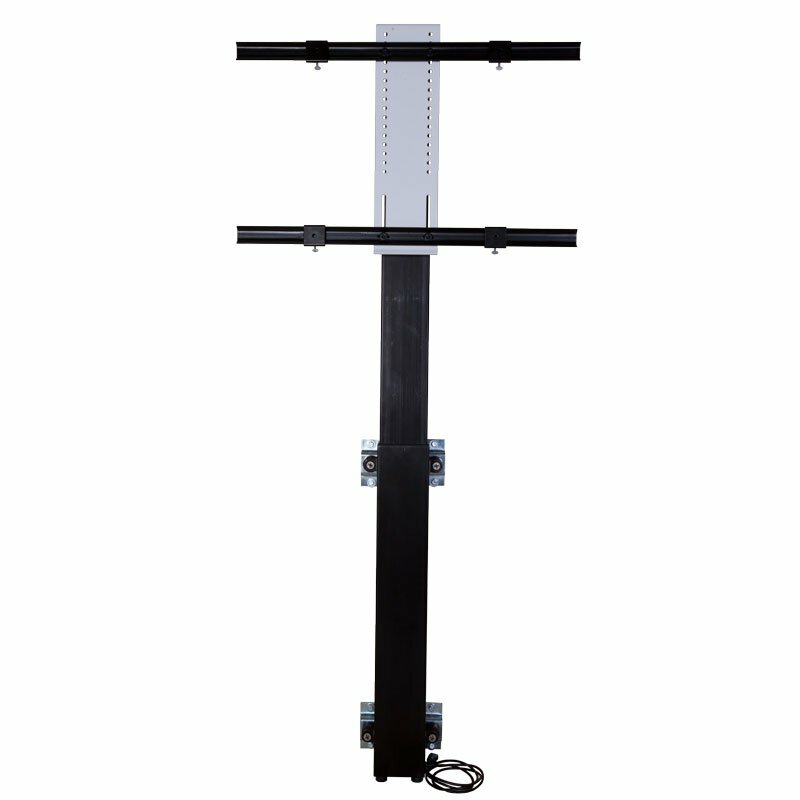 This ensures comfortable changes to the wiring, even for single cables, without having to disassemble the frame. 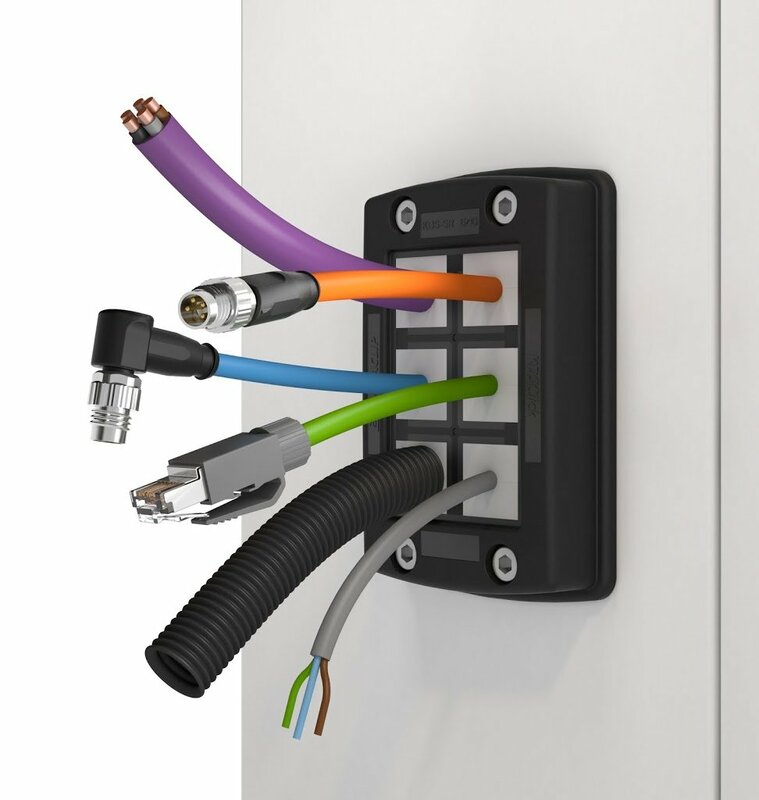 Single, double or quad seals as well as blind plugs provide maximum flexibility for cable management. 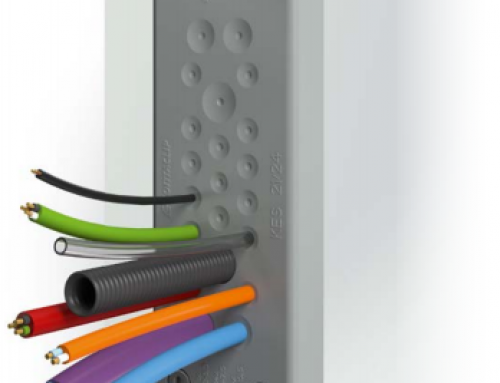 The seals feature a wave cut to ensure an assembly-friendly, tightly fitting sheathing of the cable. 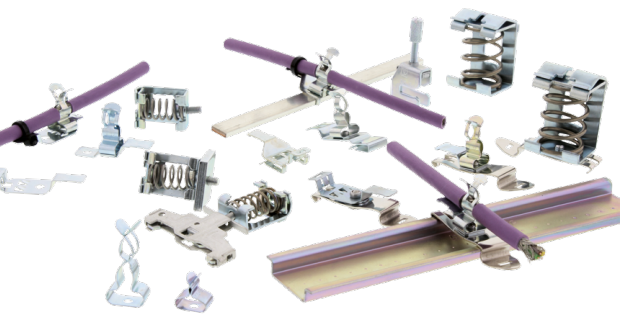 CONTA-CLIP also offers a round KDSClick version with multi-part frames designed for M20 to M63 metric openings. 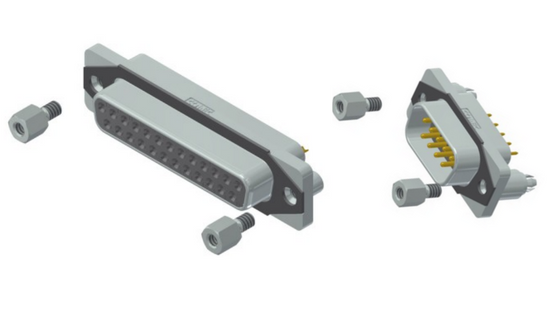 Depending on the size of the cable gland fitting, up to four sealing elements can be inserted.